RUBBERCRAFT'S ENGINEERING AND ELASTOMERIC EXPERTISE IS TRANSFERABLE ACROSS A WIDE RANGE OF MARKETS IN ADDITION TO OUR CORE MARKETS. 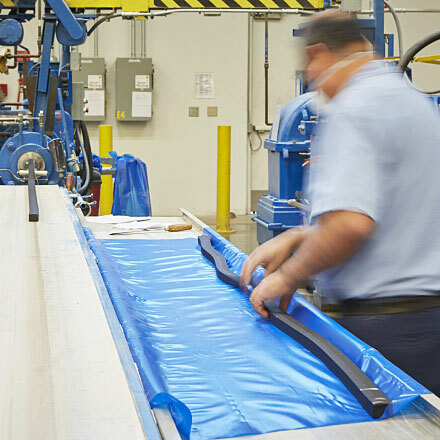 If you have a need for elastomeric sealing solutions or composite tooling solutions in your own industry, Rubbercraft’s insightful and responsive approach will deliver enabling, cost effective and high performance solutions that are a perfect fit. An indepth understanding of the performance characteristics of elastomer-based components in Aerospace, Defence and safety critical applications ensures that our subject matter experts in both the engineering and account management teams bring a wealth of expertise to each new application. Blending your expertise with ours through close working relationships, we understand requirements, recommend optimal solutions and deliver – on time, to budget. We’re a team you can count on and we expect to be judged by results. We also supply the above products to Food and Pharmaceutical, Transport, Medical and General industrial markets.